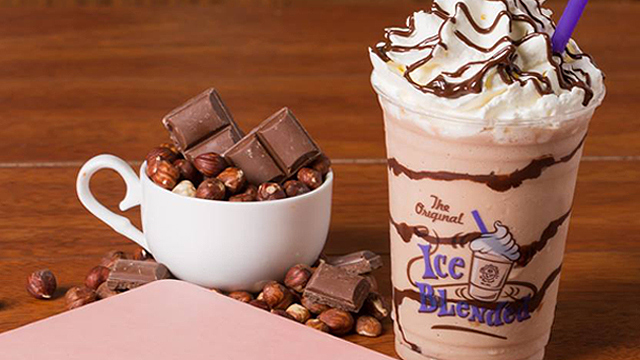 The cocktails, for one, will transport you to the beach. 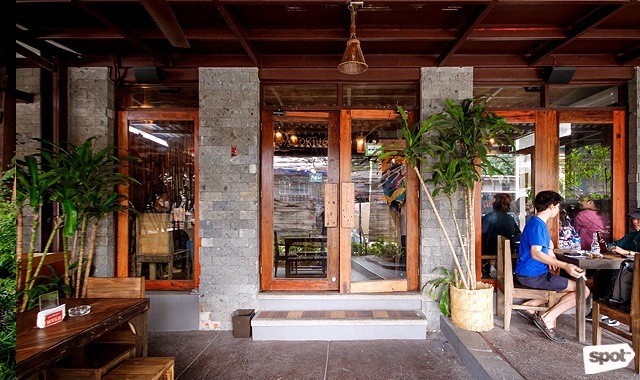 (SPOT.ph) Tortuga looks and feels like your favorite chill drinking spot along the beach. 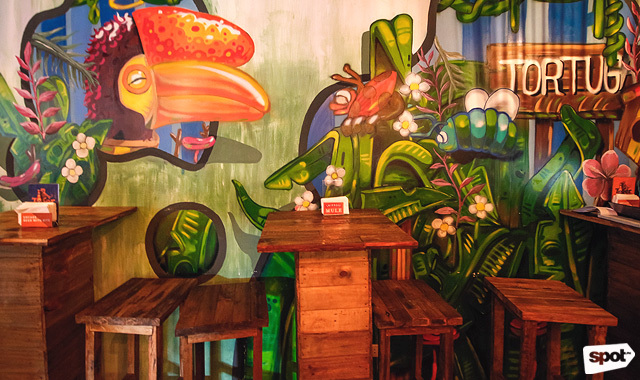 Most of the interiors and décor are made from distressed wood, there are curtains made out of shells, and chalkboard art announcing specials for the day. 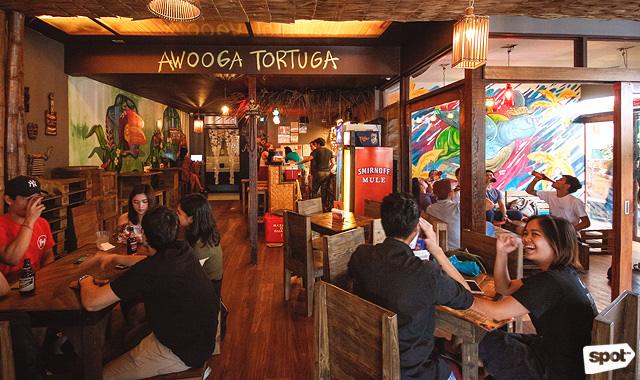 Joanna Kennedy, one of the owners, likes to describe Tortuga as “Katipunan’s island getaway.” Located conveniently in front of Ateneo de Manila University, it’s no surprise that most of the crowd is composed of students looking for a place to de-stress with good food and good drinks. The menu also stays true to the "island getaway" concept. 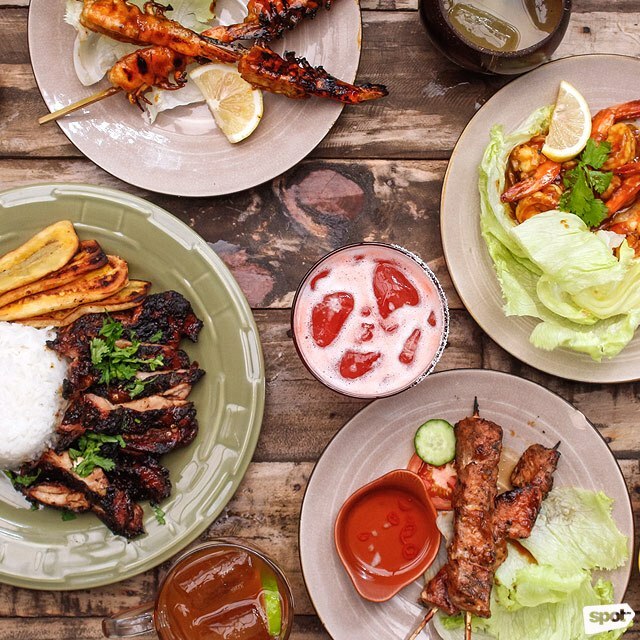 Grilled meats and seafood comprise most of the dishes here, with Caribbean-inspired flavors that really make an impression. Think bold notes of chili, rosemary, cinnamon, and more, mingling with the smoky flavor of perfectly charred meat. 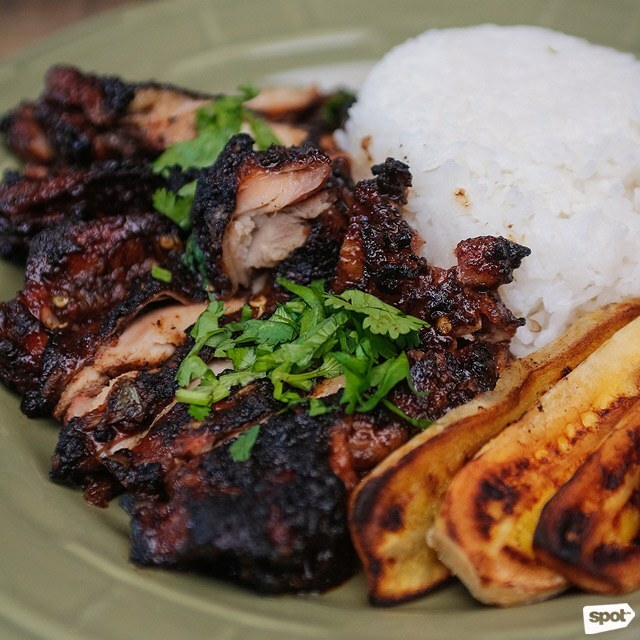 They are, as Joanna calls them, “tropical comfort food.” Because most of their regulars are university students, the dishes also come at affordable prices. 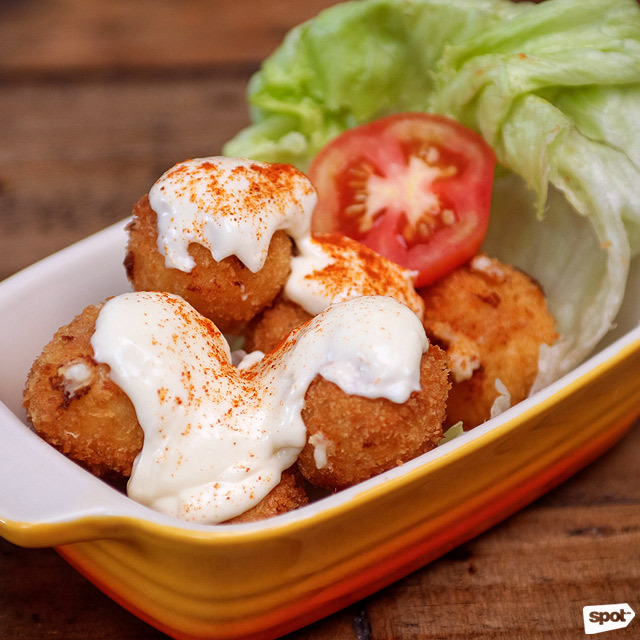 The Jamon Croquettas (P100) are crunchy potato balls with a creamy cheese-and-ham center that oozes out after one bite. 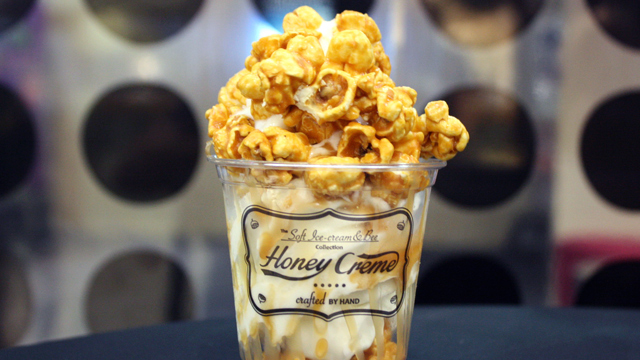 They’re topped with a spicy mayonnaise sauce that adds a mild kick of heat. These fried poppers are perfect with a bottle of ice-cold beer to wash them down. Another great bar-chow option is the Jamba Gambas (P130). 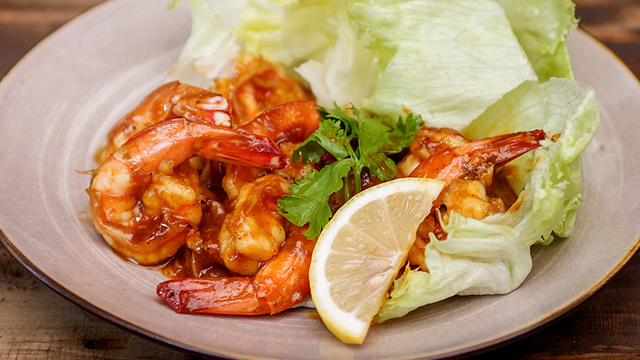 The shrimp has the crisp bite of fresh seafood, and is drenched in a sweet-spicy sauce. The punch of flavor from the garlic and spices will stay with you long after you’ve cleared the plate. 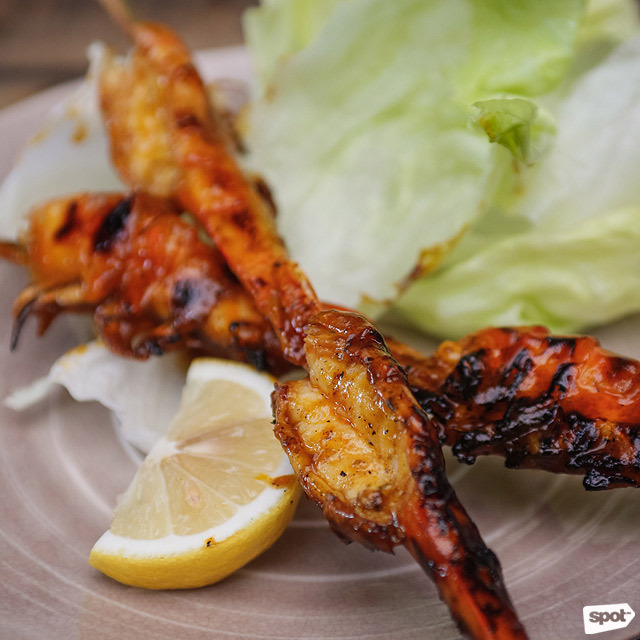 Because food-on-a-stick is always great with liquor, Tortuga also offers Jungle Skewers (P110/two sticks). 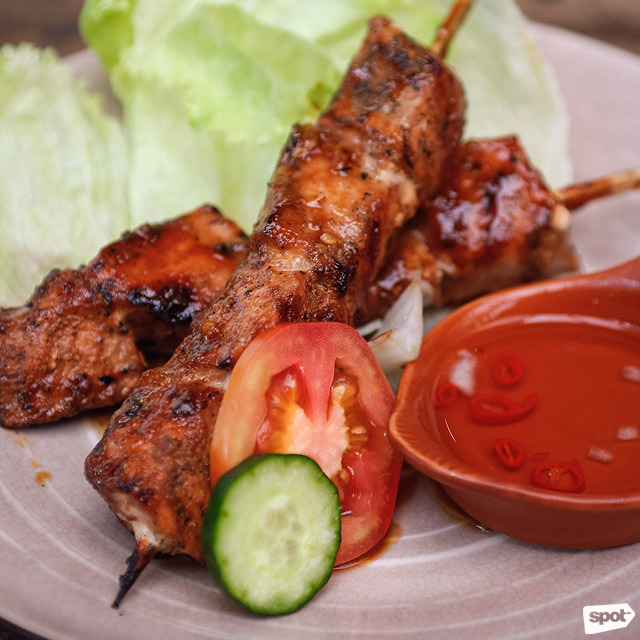 The Pork skewers come with thick cubes of pork on a barbecue stick, surprisingly tender and flaunting the bold flavors of the Caribbean balanced with the mild tang of lemongrass. 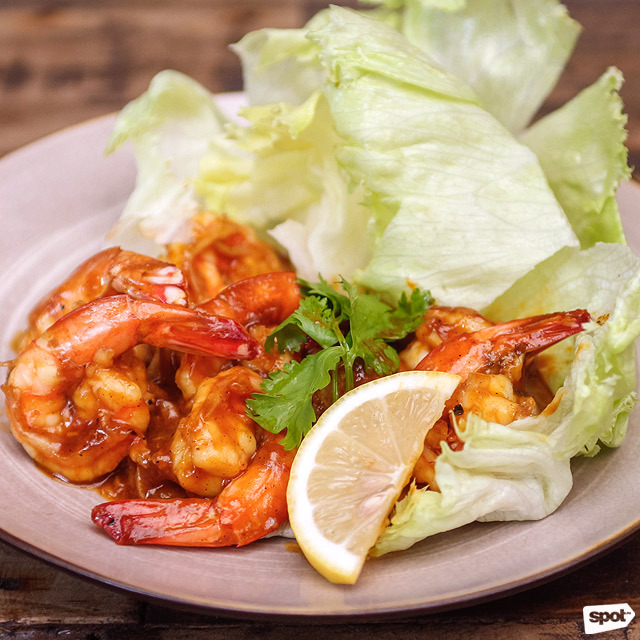 If you really want to feel like you’re on an island vacation, get the Shrimp, with two large shrimps marinated in garlic and butter. If you’d rather have something more filling to ease your stomach into a night of drinking, Tortuga also offers meals that come in hefty portions, perfect if you’re very hungry or want to split a meal with someone else. 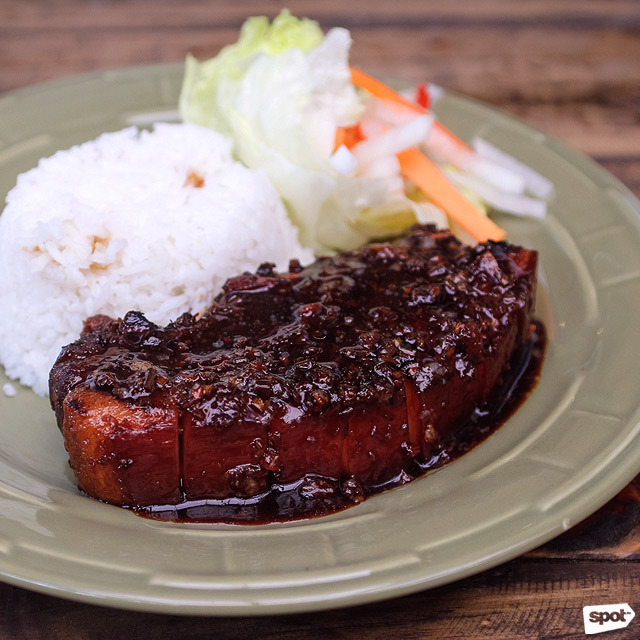 The Jungle Pumba (P200) gives you the best value, with a huge slab of pork belly glazed with a sweet barbecue sauce. The meat-to-fat ratio is practically perfect, making each bite really succulent. But the standout dish is the Jerk! Chicken (P200). 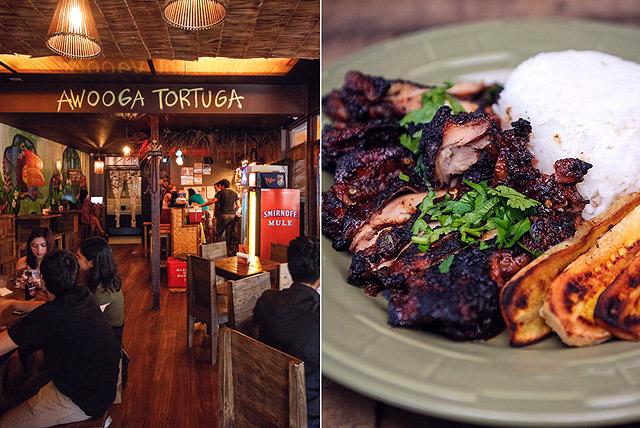 Tortuga’s version of the Caribbean staple is perfectly charred to really bring out its smokiness, with a marinade that lies more on the sweet side. It pairs really well with the spicy vinegar. 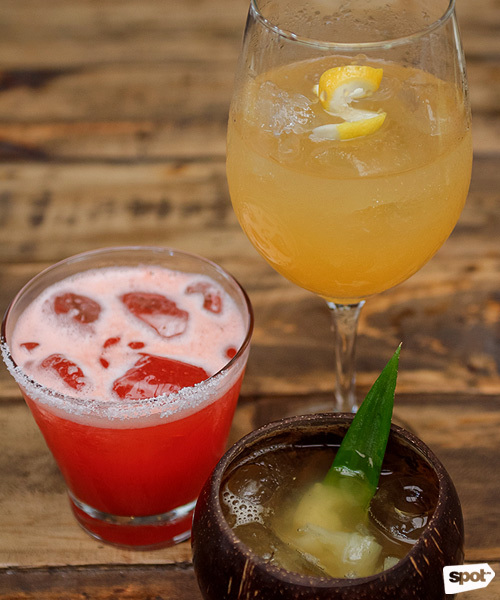 Of course, no bar is complete without drinks, and Tortuga’s cocktails are just as tropical as the rest of the place. The Cocomo (P95) will transport you to the beach, with the mild buttery flavor of coconut and the tang of pineapple creating a refreshing drink—don’t forget to scoop out the pineapple chunks with the pandan leaf! If you’re in the mood for something sweet, the Bikini Atoll (P95) has the fresh sweetness of strawberry mingling with pineapple and white rum. The Sneaky Tiki (P95) has Earl Grey tea infused with vodka and bourbon, for a mildly citrusy drink. While it may seem like you’re just drinking tea, the alcohol can pack a punch. The place can get crowded, especially on a Friday night, it’s easy to forget your worries while chilling on one of the wood benches, a cocktail in hand. While nothing beats an actual beach paradise when you want to get away from the hustle and bustle of life, Tortuga may be the next best thing.